I read all about this on your build thread. It looks great and she's gonna love it!! gwinnythepooh wrote: I read all about this on your build thread. It looks great and she's gonna love it!! I wanted to add to the post that if anyone wants the Photoshop files or .jpgs of my custom emblems or decals, just let me know, I'm happy to share! I think it looks great - but I have two boys. And no, we're not gonna try again for a girl. Oh man, Your little girl is going to flip out on Christmas!!!!! I'm sure she (and your wife) will remember what you did. Very cool. I hope you have a happy holiday. Great job on the custom "fairyrock". Last edited by wired on Wed Dec 21, 2011 3:44 pm, edited 2 times in total. Very impressive! 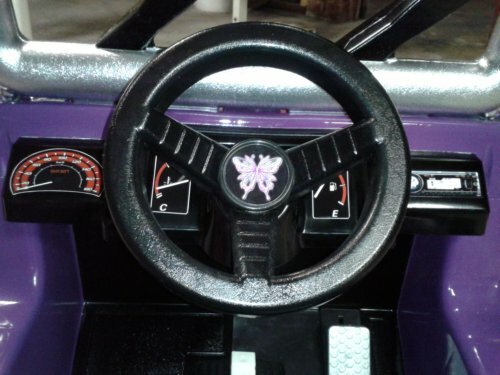 My daughter just got an older black Jeep hand me down and would probably LOVE it if I could get it looking even close to yours. groovyone wrote: Very impressive! My daughter just got an older black Jeep hand me down and would probably LOVE it if I could get it looking even close to yours. wow that's a nice toy for kids!!!! waaaaaa how much did it cost? hypeboy wrote: wow that's a nice toy for kids!!!! waaaaaa how much did it cost? hell, I don't know... I lost track after a while! lol. Somewhere in the neighborhood of $150, I'd guess. I think I paid $30 for the jeep, a little more than that on paint and such, then lights and misc electrical pieces parts (relays, switches, horn, etc)... ok, maybe closer to $200 with EVERYthing considered. 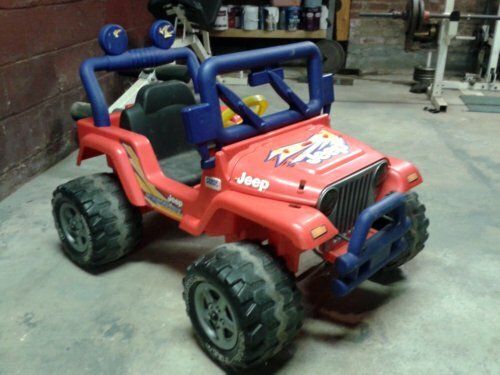 but just the basic jeep and paint was probably less than $100. Looks awesome. And still cheaper than going to Walmart and buying a brand new barbie jeep that looks the same as everyone elses. Wow... I know this is an old thread, but just wanted say great job on this up-do. 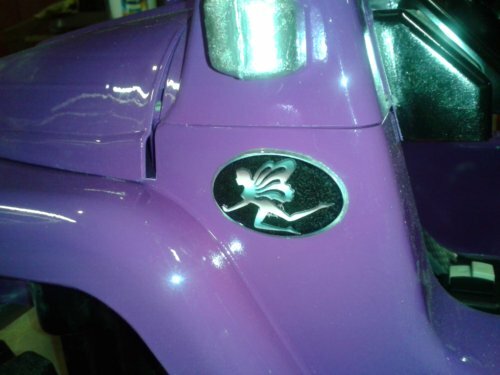 I'm doing a similar project with a $25 Jeep Hurricane for my daughter. Great tip on torching the wheels to take out some of the scratches... I'll try that tonight! warhead71 wrote: Wow... I know this is an old thread, but just wanted say great job on this up-do. 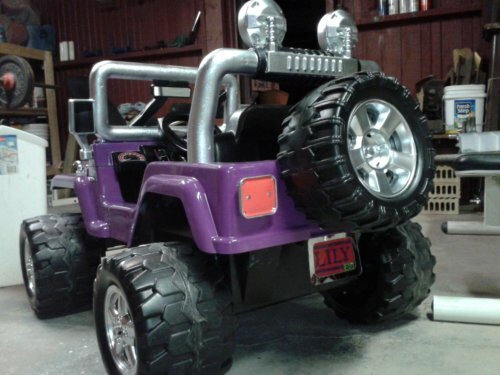 I'm doing a similar project with a $25 Jeep Hurricane for my daughter. Great tip on torching the wheels to take out some of the scratches... I'll try that tonight! Good luck with your build (and the many that will follow)!